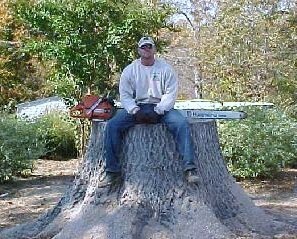 Welcome to the Branch Out Tree Service website. We appreciate your interest in our services. Branch Out Tree Service offers fast, friendly and courteous service. We use only the best equipment and maintain a skilled staff. We have built our reputation on our commitment to providing quality service, which has earned us many valuable customers. We can completely remove any dangerous, dead or dying tree, or a tree that is in the way of any upcoming projects such as pool construction, landscaping etc. We can remove selected branches to make a tree safer, healthier and more visually appealing. A quick and clean way to remove stumps from below ground without damaging the surrounding lawn. Our 24 hour emergency services offer a safe and timely way to clear downed trees, limbs, and other debris caused by storms. We can enhance your obstructed lakeside view to create an idealic environment. Our experienced staff can efficiently clean up debris from your property.